Two seperate zip openings for easier access - unzip and flip the flap. Guaranteed high quality and durable. Clear premium grade peva. Durable, transparent & non odour. Useful large ID pocket on end panel. For clothes rails up to 120cm (3.9 feet) wide. 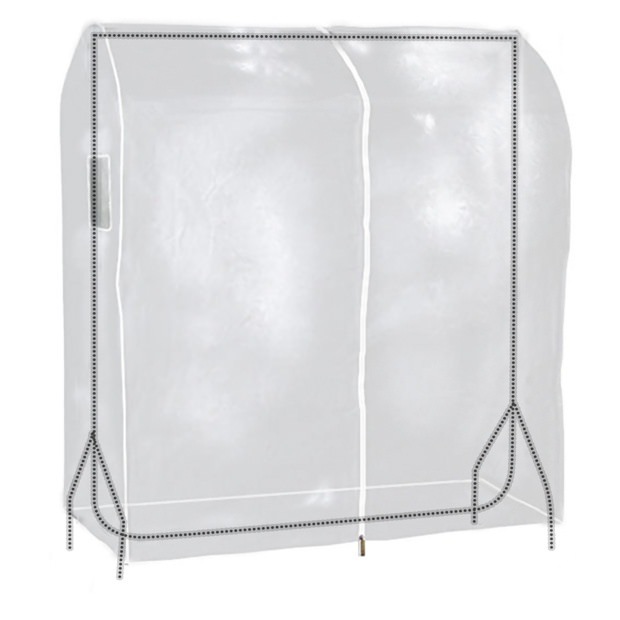 High quality protection of hanging clothes from showers dust, fluff, and smells. Covers are open at the bottom. Brilliant for market retailers and car boots to protect garments from the weather! Please note that the rail is not included. Size: Width x Height x Depth 120cm x 165cm x 59cm approx.